This place is one of the newest venues in Busan. It’s not exactly a venue, but more a utility space for local ska band, Ska Wakers. They built it themselves… from the multi-colored wooden bricks decorating the mezzanine to the 15 foot high Bob Marley mural that dominates the wall behind the stage. There is a small bar that serves coffee, soda and beer on some nights… so long as you deposit a modest donation into the Roots fund. Usually, the sound system is just a small PA that does a decent enough job. A couple times I’ve seen a much larger rented system for bands like Windy City and Kingston Rudieska. The atmosphere is great… there are places for everyone to enjoy the show. You can chill on the couches off to the side or revel right along with the band. It’s definitely got that house party vibe with the band just raised a few inches off the dance floor. The balcony is another chill spot to sit and take it all in. To find out about what shows are going on at Roots Space, the easiest way is to check out their facebook page. Usually they only advertise the bigger shows though, and it’s all in Korean. It isn’t super easy to find either. It’s in an alley and there isn’t a sign or anything… just a door that leads underground. Which is pretty cool actually. After you find the nondescript door, follow the metal stairs down into the dark with the thump and hum of live music gradually getting louder and suddenly you emerge into what feels like a secret party that only you and a handful of fellow music-lovers know about. 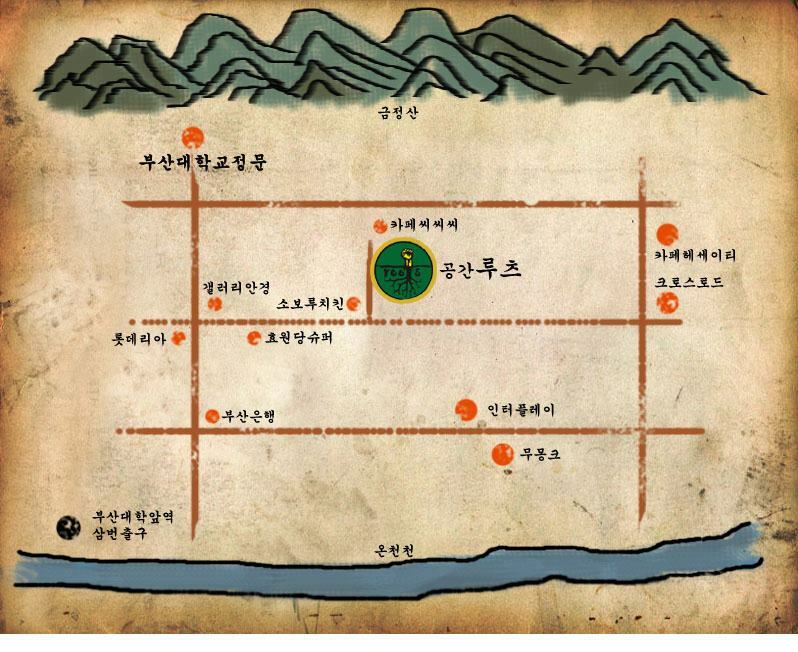 If your Korean isn’t too hot, the black dot in the bottom left is the PNU subway station. Walk up the street towards the university, past Busan Bank. Turn right at the eye glasses store. There’ll be an alley on the left and it’s at the back of that on the right. This entry was posted in Venues and tagged Busan, 공간루츠, music, PNU, Roots Space, Ska Wakers, Venue on July 31, 2013 by Brian Kilrain.